When you think "beauty products" the first things to come to mind are often serums, lotions, potions, and powders. But for me, two of my major beauty products aren't in my medicine cabinet but in my kitchen: water & vitamins. We should be drinking eight glasses a day to keep our bodies hydrated and running effectively, but water can also work wonders for your skin. Not getting enough water can leave skin tight, dry, and flaky. While drinking water won't treat acne, it will help improve skin tone and texture. I keep my bkr bottle (pictured) on my nightstand and my Vapur bottle in my purse and with me at work. In addition to drinking lots of water I take a small handful of multivitamins. 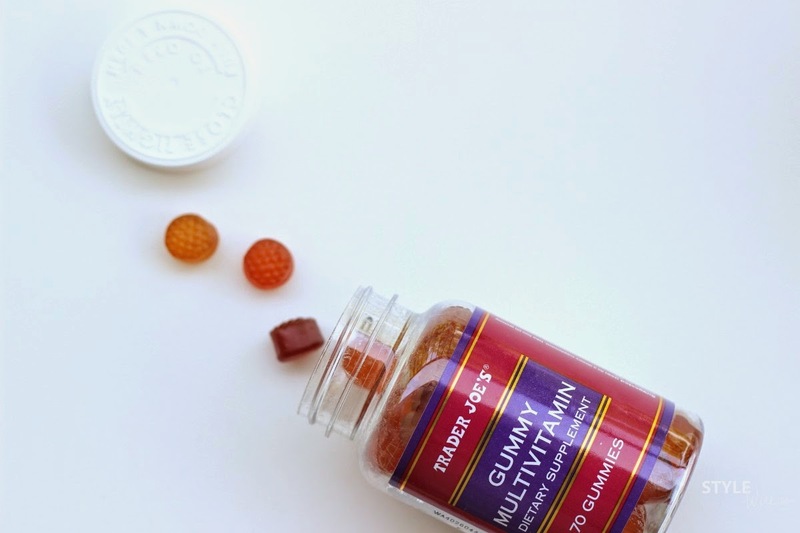 My daily multivitamin is a gummy from Trader Joe's. There is some debate around gummy vitamins; if you have special dietary needs they can be lacking essential vitamins and minerals. 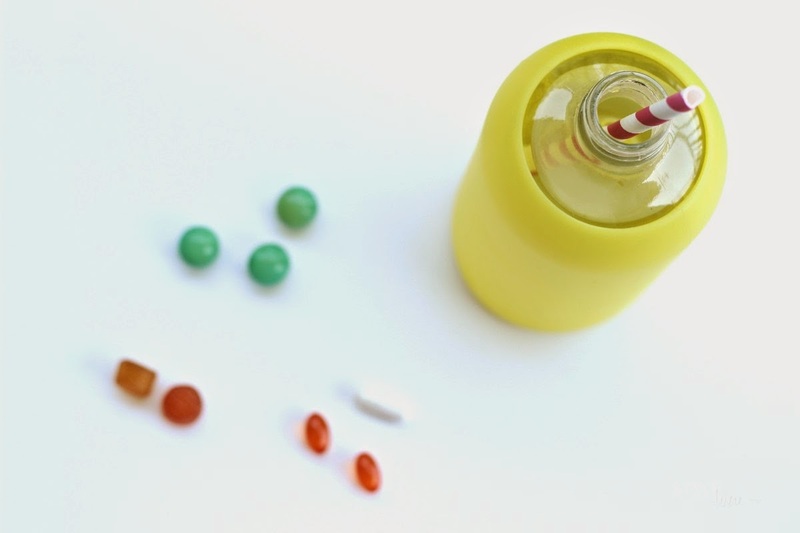 While they're not for everyone, they're easy to take and contain the essentials like Vitamins A, C, D, E, B-6, and B-12 making them a good supplement if you already lead a healthy and active lifestyle. I like to combine my daily multivitamin with a concentrated beauty vitamin. 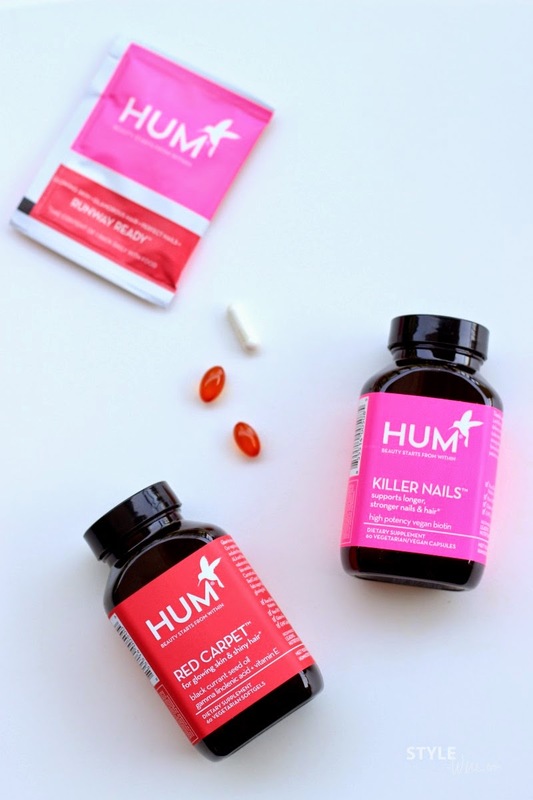 HUM Nutrition has two of my favorites; Killer Nails and Red Carpet. Killer Nails is a mega dose of vegan Biotin which has been proven to grow stronger nails and thicker hair and Red Carpet contains a vegetarian blend of Black Currant Oil and Vitamin E to promote healthy skin and hair. They're available together in a convenient daily Runway Ready packet as well. 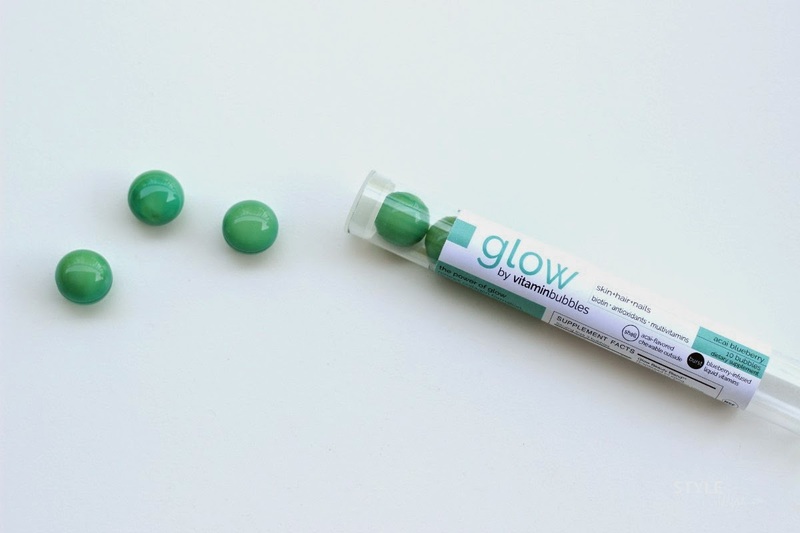 For those who don't like swallowing pills, Vitamin Bubbles are a new alternative to pills and gummies. These liquid-filled vitamins burst in your mouth delivering a precise dose of vitamins that are quickly and easily absorbed into your system. I sampled the Acai Blueberry Glow Bubbles for healthy skin and nails and while the flavor isn't comparable to candy, they were quite good! What are your tips for glowing skin and healthy hair and nails? 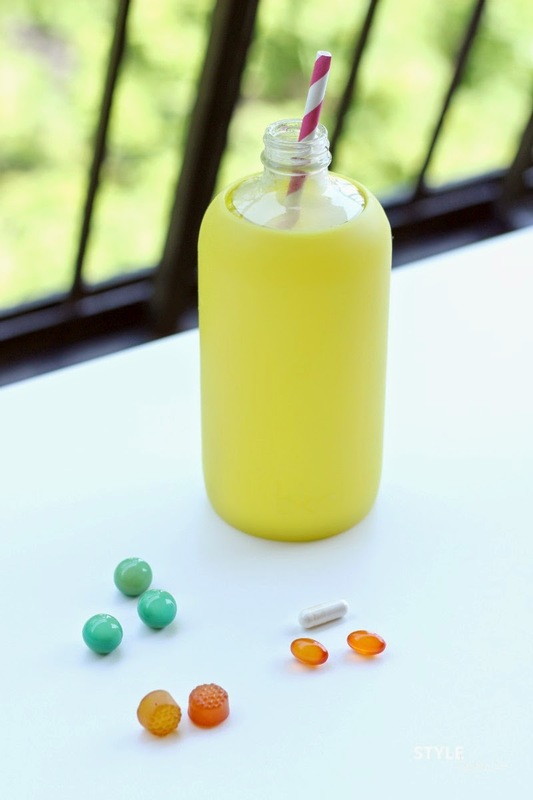 Do you take any type of beauty supplements or daily vitamins? I was provided complimentary samples from HUM Nutrition and Vitamin Bubbles. Thoughts and opinions expressed are my own.